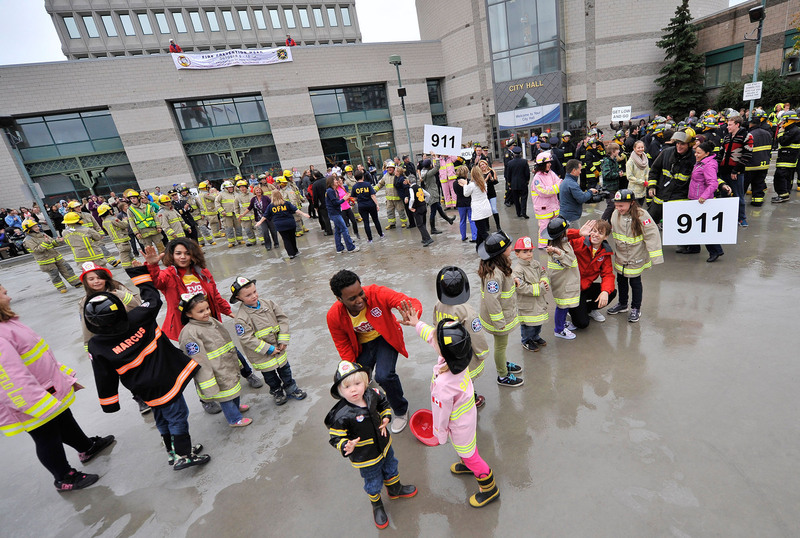 On Monday, Barrie Fire and Emergency Service (BFES) and Simcoe County Fire Departments launched Fire Prevention Week with a first-ever flash mob performance in the City Hall courtyard. 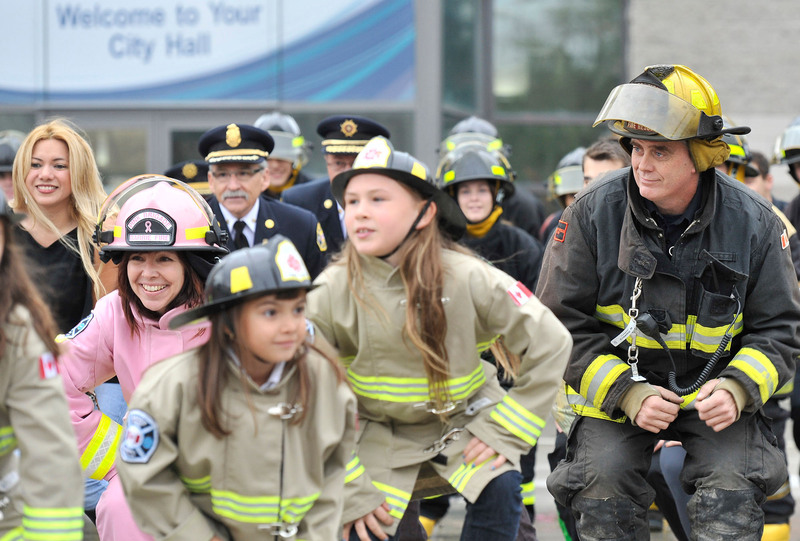 More than 100 kids, parents, firefighters, city staff and enthusiastic onlookers participated in the event that also featured pyrotechnics, Barrie firefighters rappelling from the roof of City Hall and even a zip-lining Sparky the Fire Dog. Dozens of community groups and residents came together to participate in the flash mob performed to a fire safety song with a funky beat. Barrie Mayor Lehman was joined by the Simcoe County Fire Chiefs Association, Georgian College, Collier Place Senior Centre and local firefighters from across Simcoe County, who all grooved to the music and entertained the crowd.